When you place an order with Laminated Plastics, you can expect a complete and accurate delivery on time, every time. Our focus is on you, our valued customer, and not on creating excuses. Inferior material, faulty parts, or late delivery will affect your reputation while costing you time and money. Don't take that risk! At Laminated Plastics there is no such thing as "close enough." When you place an order with us, you can expect a complete, accurate delivery - on time and delivered just the way you want. A Laminated Plastics' representative is always available. A member of our experienced team is waiting right now to speak with you directly or receive your email request. Our priority is making sure our team is available for you at all times. At Laminated Plastics, we have systems in place to ensure you will have an easy, problem free experience with every order. We check your order at time of placement, confirm and verify again during processing, and perform a final check during inspection and shipment. 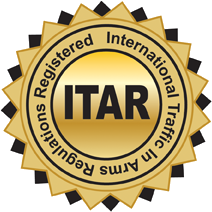 We take pride in being an ISO-9001 and AS9100 certified company and, as such, complete traceability and documentation are in place and on hand. We can supply certifications, material specifications, first articles, and any required test results for the items we provide.